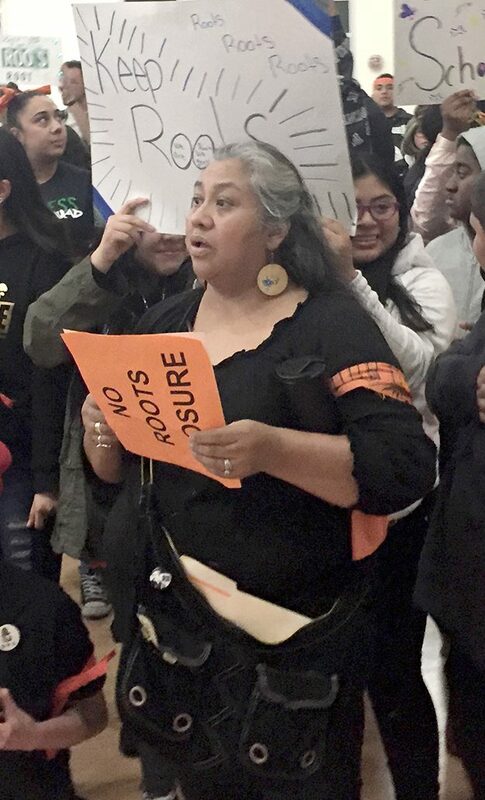 Ady Rios advocates for Roots School at Monday night’s school board meeting, where the board voted to close the school.Photo by Nerali Jani. 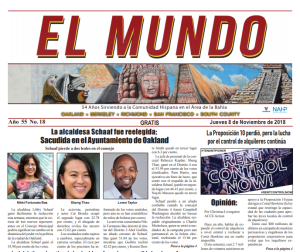 The Oakland Board of Education voted this week despite the opposition of hundreds of Roots students and families and their supporters. Parent leaders pledged to continue the fight, saying they would boycott the school on Friday. The board voted 6-1 on Tuesday in favor of closing the school, ignoring the impassioned pleas of the students. Only District 5 Boardmember Roseann Torres voted against closing the school, along with the student board members (whose votes are symbolic). Torres said that because the Black and Latino unity was so impressive, she was voting no. Voting in favor of closing the school were James Harris, Shanthi Gonzales, Aimee Eng, Jumoke Hinton Hodge, Jody London and Gary Yee. 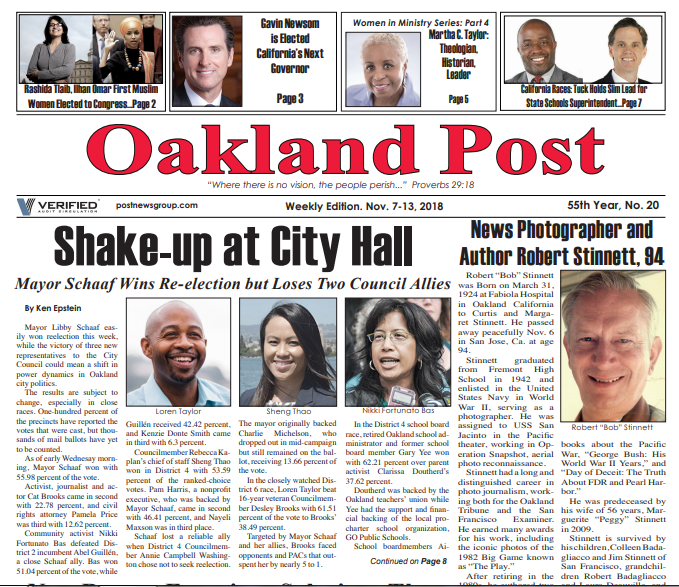 “By its own projections the Oakland school board will save only $370,000 by closing Roots International Academy. 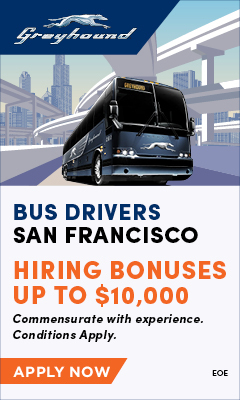 A whole school; several hundred grieving children; the loss of safety, community and family for some of the least enfranchised youngsters in Oakland will save less than the cost of one well-paid administrator including benefits. Discounting the public, the school board and administration made this unpopular decision under pressure from powerful agencies: the Alameda County Office of Education, the State Department of Education, the state funded Fiscal Crisis Management and Assistance Team (FCMAT), Oakland’s state trustee, as well as billionaire-backed pro charter organizations GO Public Schools, Educate78, and the California Charter School Association. Parent leader Adelaida B Rios said the fight did not end with the school board vote.